My First eBook is Here! It’s finally here! After months of soul searching, writing, and editing, I’m finally ready to launch my first e-Book: Moments that Endure are Memories that Matter. It’s a free and a quick read. It’s also jam-packed with real life experiences as well as tried & true strategies I’ve used for years. 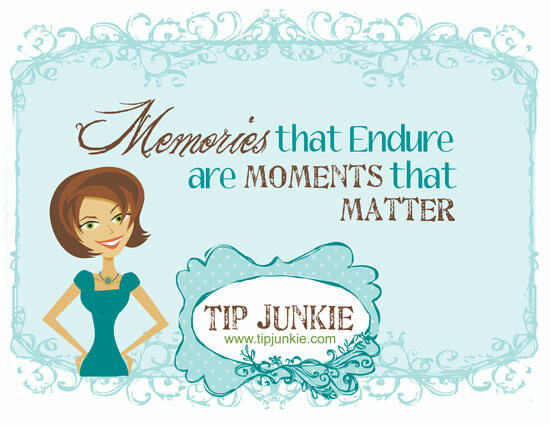 We can each turn around what is endured in our lives by embellishing life with fun celebrations and loving memories. Do you ever feel the need to create and you don’t know why? Do you see others lives as more memorable than your own? Would you like some simple ways to combine your talents to save time and create beautiful memories? I feel like if you know something, you should share it. So that’s my goal. I’m going to expose my simple strategies for making moments that matter for you, your family, and friends. 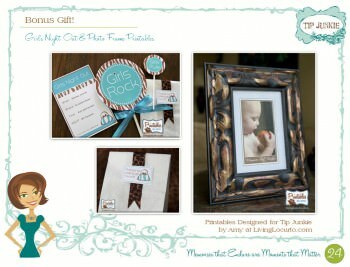 You can also get this coordinating party favor purse over on Amy’s Blog. Christmas Day I took some time for myself and finished reading this book, “Embraced by the Light“. Katri let me borrow it and I loved it! It’s one of those books that when you finish it – you feel like a good person and want to be even better. Basically, it’s about a woman’s near-death experience. But there’s nothing basic about what she experienced nor what she learned. I was surprised by how spiritual and profound it was. As I was reading it, I felt like the author was right there in the room with me teaching me everything I needed to know for the next stage of my life. I know that it’s not a cooincidence that I read this book, this week. I needed to feel the unconditional love of my Savior and I was completely surprised that I felt it while reading this book. I’m going to buy my own copy because it’s one that I’m going to want (and need) to read again and again. The author, Betty J. Eadie, and I already share the same beliefs about the “next life and pre-mortal life” and therefore nothing she wrote shocked me. However, be warned, it’s deep stuff! On a very personal note: This book has made me realize that I need to love my children unconditionally. Until about a year ago, my love for them has been conditional upon their behavior and I used it as leverage to teach and reward. I’ve been slowly realizing what I’ve been doing (it wasn’t intentional) and I have been working hard to change this habit. I’m completely intrigued by this topic. Have any of you read a “near-death” experience book you’ve been inspired by? I just finished reading our last months book club pick “The Glass Castle“. Afterwards it made me feel like I drank two Mountain Dew’s it stressed me out so much. It took about 5 hours and a period movie to calm down my overly stimulated memory and emotions. Seriously, I was a little embarrassed afterwards because I was talking so fast to a couple of my friends while discussing the book. Why was I so shaken? Because I could relate and had experienced some of the poverty and trials she had. I have been blessed with a terrible memory and therefore I have forgotten and pushed out the rest of the bad times. I feel like that’s how I’m able to stay positive. I was telling my sister Lisa about the book and she kept bringing up stories of our own that were similar. Eeek! I wouldn’t necessarily recommend the book because it’s so gritty, but it’s very well written and engaging. The author has overcome atrocities no child should have to endure. She has also found her way to happiness and success and I applaud her for making the very best out of her life. I finished the book at 2:45 right before I picked the kids up from school. So, to prove what a fun and engaged mom I am, I picked up my kids and drove straight to Chuck E. Cheese. 😉 I spent the rediculous amount of money on pizza and tokens just to validate myself. I know it sounds silly but I needed to prove to myself that I’m nothing like the mom in the book and that one does have control over their own situation no matter how they started out in life. Leave it to my oldest to go through 42 tokens in 20 minutes! That’s got to be some kind of record. 😉 I played with Drake, we ate, picked out toys, and I just felt so grateful I was born here in the USA at this time in history. God Bless America! 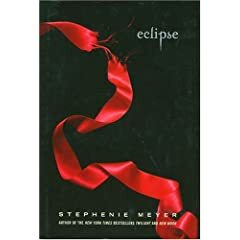 I finished Eclipse today, it’s the third book in the Twilight series by Stephanie Meyer. As always it’s an easy and quick read even though it’s over 600 pages. I’ll be honest, I’m bummed. I liked the second one better, New Moon. I’m an action girl and I felt like this book should have started at page 530 and continued on from there. I do think that this book was necessary closure for the characters and needed to be written this way – I just wish it had a lot more action in it. I’ve decided that I wouldn’t be as frustrated if the 4th book was already out. I’m still lovin’ Edward. If anyone wants to borrow the book, just let me know. My love language is quality time. This has helped me figure out what “fills my cup”. I enjoy going out with the girls, dating my husband, and talking to my friend at lunch. I try to be sure I do those things for myself. What’s your love language? Click here to take the quiz. Gotta love a rainy summer where you can’t go outside or to the pool to get out all that engergy. Love and Logic Tip #10 – When to Step In/When to Stay Out of Kids’ Problems. Davis chose to dump out all his Legos and Bionicle bins. Can you guess what I chose to do? Unlike Mom, Drake decided he would help pick up. I got this book today from Usborne Books, and WOW it doesn’t leave anything to the imagination. I think I’ll wait to read this with Davis until he’s 9 1/2. I would reccomend it but know that it’s a very “PC” book and in conflict with 3 of my conservative views. I’m actually glad it is because it will open up some needed dialogue.